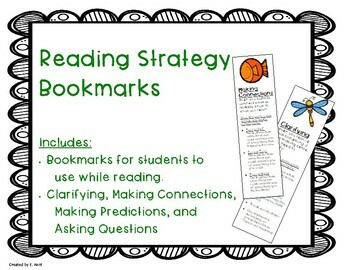 Reading Strategy Bookmarks include 5 bookmarks per page. Each page has a different reading strategy. The strategies included are clarifying, making predictions, making connections, and asking questions. 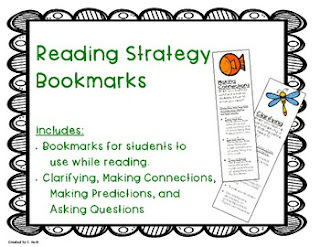 These bookmarks are designed to be used to support students while they are reading.